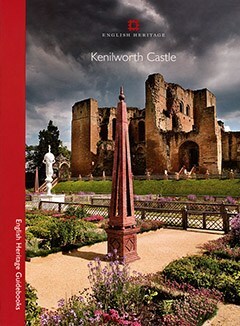 From medieval fortress to Elizabethan palace, Kenilworth Castle has been at the centre of England's affairs for much of its 900 year history. Today, you can scale the heights of the tower built to woo Queen Elizabeth I and marvel at the mighty Norman keep. Explore the exhibition in the Gatehouse, and imagine the majesty of the Great Hall playing host to medieval monarchs and early Tudor kings. Henry I grants land to his chamberlain, Geoffrey de Clinton. De Clinton builds most of the Norman keep and founds the nearby priory. Henry II garrisons the castle and later acquires it outright from de Clinton's heir. Henry III gives Kenilworth to his sister Eleanor and her husband, Simon de Montfort, who probably create the outwork known as the Brays. De Montfort's son holds the castle against the king through a six-month siege. Henry III then grants it to his second son, Prince Edmund. Edmund's son Thomas, 2nd Earl of Lancaster, rebels against Edward II and is executed. Thomas's brother Henry holds Edward II prisoner at Kenilworth, where he resigns his throne. The Lancastrian heiress, Blanche, marries Edward III's third son, John of Gaunt. He rebuilds many of Kenilworth's buildings on a grand scale. The castle is the favoured residence of the Lancastrian kings, drawn by the excellent hunting. Henry V builds the 'Pleasance in the Marsh' at the far end of the lake. Elizabeth I grants the castle to her favourite, Robert Dudley, Earl of Leicester. He converts it into a great house for her entertainment, embellishes the park and lays out a garden for her private use. After the Civil War, the castle's fortifications are dismantled. Colonel Joseph Hawkesworth buys Kenilworth on behalf of a group of Parliamentarian soldiers. The ivy-clad ruins become famous as the setting for Sir Walter Scott's novel Kenilworth, which romanticises the story of Robert Dudley, Elizabeth I and Dudley's wife, Amy Robsart. Car manufacturer Sir John Siddeley buys Kenilworth and gives the Ministry of Works a large sum of money to fund repairs and open it to visitors. Siddeley's son Cyril, 2nd Baron Kenilworth, gives the castle to Kenilworth Town Council on the 400th anniversary of the accession of Elizabeth I.
English Heritage takes over management. The Elizabethan garden is recreated in 2009.